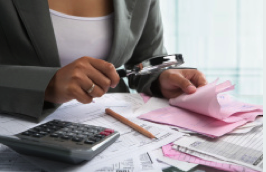 Please call D & S Services today for expert quality tax assistance at 641-423-3200. Don’t face the IRS alone! Debt Settlement Plans, Offer In Comprimise (OIC), Payment Agreements – If you are looking for a way to settle IRS debt, D&S IRS Resolution Service is here to help you. IRS Agent Help: Our power of attorney allows us to negotiate on your behalf and get the Revenue Officer off your back and require them to deal directly with us. Audit Representation: D&S Services will assist you in preparing your response to an audit letter, and even represnt you in a face-to-face meeting (if needed) to not only plead your case, but negotiate on your behalf. An Enrolled Agent (EA) is a federally-authorized tax practitioner who has technical expertise in the field of taxation and who is empowered by the U.S. Department of the Treasury to represent taxpayers before all administrative levels—examination, collection, and appeals—of the Internal Revenue Service. Unlike CPAs and tax attorneys, Enrolled Agents are tested directly by the IRS, and enrolled agents focus exclusively on tax accounting. “Enrolled” means to be licensed to practice by the federal government and “Agent” means authorized to appear in the place of the taxpayer and the IRS. Only Enrolled Agents, attorneys, and CPAs may represent taxpayers before the IRS. Enrolled Agents advise, represent and prepare tax returns for individuals, partnerships, corporations, estates, trusts, and any entites with tax-reporting requirements. Enrolled Agents’ expertise in the continually changing field of taxation enables them to effectively represent taxpayers audited by the IRS. Only Enrolled Agents are required to demonstrate to the IRS their competence in matters of taxation before they may represent a taxpayer before the IRS. Unlike attorneys and CPAs, who may or may not chose to specialize in taxes, all Enrolled Agents specialize in taxation. 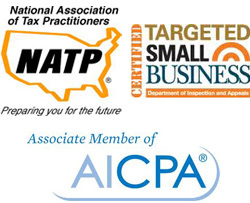 Enrolled Agents are the only taxpayer representatives who receive their right to practice from the U.S. government (CPAs and attorneys are licensed by the states).